When a child receives an iPad for Christmas, he soon realizes that it is not everything he thought it would be. 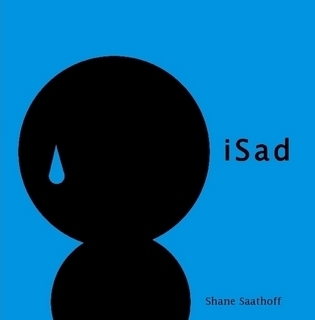 iSad tells the story of the child's quest to turn the clock back on his neighborhood, returning it to the way it once was before the "cold circuitry" interfered in their every aspect of life. I really liked the book especially the colors of the different pages. The illustration of the kid was funny too. He reminded me of a snowman for some reason. I know how he feels about reading books on the computer I would much rather have a book in my hand with a cover and everything. I also like how the writer rhymes the story to make it more fun. I am almost 9 years old so I could understand all the big words in it but anyone younger than 7 would probably just be attracted to the bright colors of the book. I give it 4 stars! I liked this story because it teaches kids not to rely completely on electronic devices for happiness. Although the rhyming was cool, the story was kinda boring for me. There really wasn't much action in it for me. But I did like all the different colors throughout the story. So I gave it 3 stars. I liked it a lot! I thought it was funny and there were some words that my mommy had to explain to me but I still enjoyed the rhyming. My favorite part was when the little dude went out into the street yelling for someone to come play tag with him. That is a really funny part. But I would still like to have an iPad, I just wouldn't use it all the time. The book had a great moral to teach, especially in this day and age, when electronics are a staple in almost everyone's home. There were parts that were funny because of the exaggerations of the parents not paying any attention to their son at all while busy on the iPad. The rhyming was cute, although, there were some words that may be a little over some 7 year olds' heads. The illustrations were vibrant with each page a different color. The little figures reminded me of the advertisements for the iPod with all the shadows. I don't know if that was what Saathoff was going for but I found it ironic nevertheless. It was cute and we enjoyed reading it but it was a little boring for kids any younger than 8. I gave it 3 stars. Source: we received this book from the author for our honest review of it. I remember when I was a little girl my parents collected The Gremlins books and in the back of these paperback goodies were a 45 record. (I know I just dated myself there a little but oh well) I would get up in the rocking chair and listen to that record as I followed along through the book. It was amazing and it was almost like I was a part of the action. The illustrations are colorful and bright and easily captures the child's attention. Even my 3 year sat in my lap the entire time while we listened to the story. He would pick out the pictures that went with what we were listening to at the same time. This is a wonderful story with non stop action, creativity, humor, and the sweetest lil hero the world has ever seen. I would recommend this book to anyone with kids. It is truly fun to read for all ages! This book is really really good! When we opened the package it came with coloring sheets but you can also go to the website and download activities too. We listened to it before bed the other night and then when we got up in the morning we begged mom to let us listen to it then. I don't really have a favorite part because I love the whole thing! It's real easy to follow along with the CD through the book and I like the all the different sounds that go along with the story. My favorite part in The Chase Danger book was when he has to take control of the scorpion. I have a toy scorpion that looks exactly like the one in the book and that was pretty amazing for me. This story is great for little kids like my baby brother but it's also really cool for me and Anthony who are almost 9 years old. I can't wait to see what happens to Chase in the next book with his friend Ali Bali! This book is so simple to understand and follow along. I liked it alot!! It was very good and I loved how Chase and me are close to the same age. I think Chase and me could be great friends going on adventures together. I love to invent different things so I liked how I was kinda the same as Chase too! My favorite part was the Flashblack. He was a cute little baby and I laughed at his disguise too! My favorite part was the giant octopus in it! That was wow! I liked all the sounds on the CD and I can hold the book while the man on the CD reads it to us! Every one of us agreed Chase Danger Mystery of the Special Sauce deserves five smiley faces! This is a great book that we will probably wear the CD out listening to. 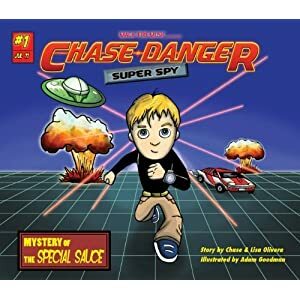 We can't wait till the next book comes out and we can go on another adventure with Chase Danger-Super Spy!!! The craziest user guide you'll ever read! 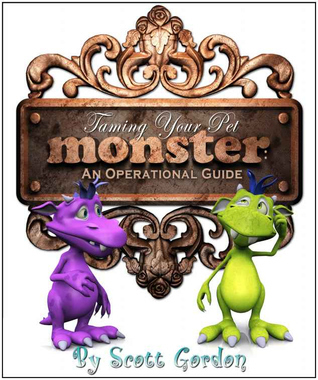 Written for mommies and daddies just as much as their children, Taming Your Pet Monster is filled with laugh-out-loud humor and bizarre situations. Witty, colorful and unique, this is one wacky ride you'll never forget! This was a really funny book with lots of colors, especially my favorite color, green in it. I liked the picture of the explosion a lot. It was neat how it made you think you could really buy a pet monster. I did have trouble with some of the words and I wasn't sure what some of them meant. I am glad I had my mom reading it to me and my baby brother so she could explain some of the definitions to us. But this book really made me laugh a lot and I almost wish I could order my very own TP-6 monster. I gave this book 4 smiley faces! Jack Harmon finds a cell phone on the school bus. He raises the phone to his ear and hears a girl's voice: "Hi, Jack. Don't scream. I've been waiting for you. I'm your new friend." Jack thinks it's a joke. He tries to end the call, then turn the phone off, but the girl's voice won't go away: "Don't make me angry, Jack. I'm warning you." Jack is puzzled and a little frightened. He must obey her every wish. She appears in all sorts of electronic devices-he can't escape her. "Don't scream, Jack. I'm just a voice. But you're going to be my body." She begins to force him to do dangerous things like stealing a laptop from school. But Jack finally outwits the voice when she jumps into his wristwatch. The school bully has been after that watch all year, so Jack finally lets him have it. Conner: I really liked this book because of a lot of reasons. 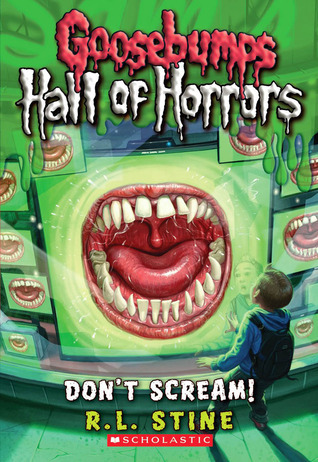 One, it is a Goosebumps book and we are huge collectors of this series. I also liked this story because the boy in the story, Jack, finds a cell phone and hears a ghostly voice on it talking to him. I can really relate to this book because I was walking with my Nana one day and I found a cell phone in the grass too. Of course no one mysterious talked to me on it but what if? I liked his little sister who likes macaroni and cheese. She reminded me of my little brother who is crazy about mac and cheese too. This book isn't as scary as the other R. L. Stine books I have read. I wasn't scared once reading this. I would have to give this story five smiley faces!